BRISTOL - The Bristol City Council recognized the efforts of local non-profit Brian’s Angels at Tuesday’s meeting. 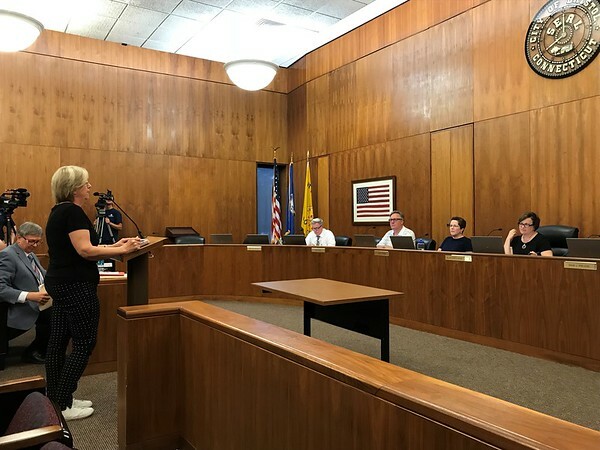 Pat Stebbins, president of the homeless outreach organization which combats the difficulties of homelessness, addressed the council during the “non-profit spotlight” portion of the meeting. “One day, about three years ago, when I was out walking my dogs I noticed how many homeless there are in Bristol,” Stebbins said. The Brian’s Angels shelter is located at 19 Jacobs Street and is open from 1 p.m. to 5 p.m. 7 days a week. 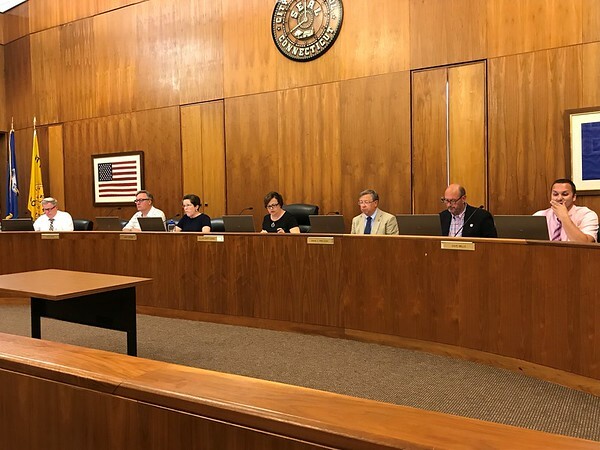 When Councilor Greg Hahn asked what Brian’s Angels needed for support, Stebbins said that meat and cheese are in short supply and that they also need shorts and summer clothes. Bristol Mayor Ellen Zoppo-Sassu later reported that Memorial Boulevard has been added to the National Register of Historic Places. The Boulevard had previously been included in the state registry. She also reported that the Mayor’s Opioid Task Force would be creating brochures for first responders to give out after responding to an overdose. They will contain information about treatment and support services. Council member David Preleski noted that the fire department had received a federal grant that allows them to provide free smoke alarms with ten-year lithium batteries for residents. Residents can call the department at 860-584-7964, Ext. 4 to arrange alarm installation. The council also approved a $36,655 grant from Firehouse Subs to the local fire department to purchase extrication equipment such as a spreader, cutter and ram. Council member Dave Mills praised Firehouse Subs for their generosity. Additionally, the council approved a $2,867,411 state grant to support the local school readiness program. David Preleski was also named the “acting mayor” for when Mayor Ellen Zoppo-Sassu is unavailable. He is succeeding Dave Mills in this role, which he will have for four months. Finally, a public hearing has been set for July 19 at 7 p.m. for an ordinance revision that would bring water pollution control under the management of the water department. This revision was discussed during a June 5 Ordinance Commission Meeting which the mayor attended. She said that consolidation could mean long-term savings for the city. “If we can weave these departments together - and they are more similar than separate- we could find efficiencies,” Zoppo-Sassu said. Posted in The Bristol Press, Bristol, General News on Tuesday, 10 July 2018 20:31. Updated: Tuesday, 10 July 2018 20:34.